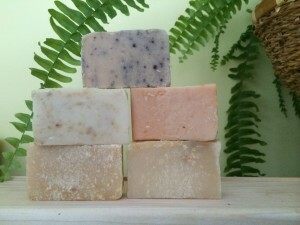 We make our soap in small batches, handcrafted in our kitchen. 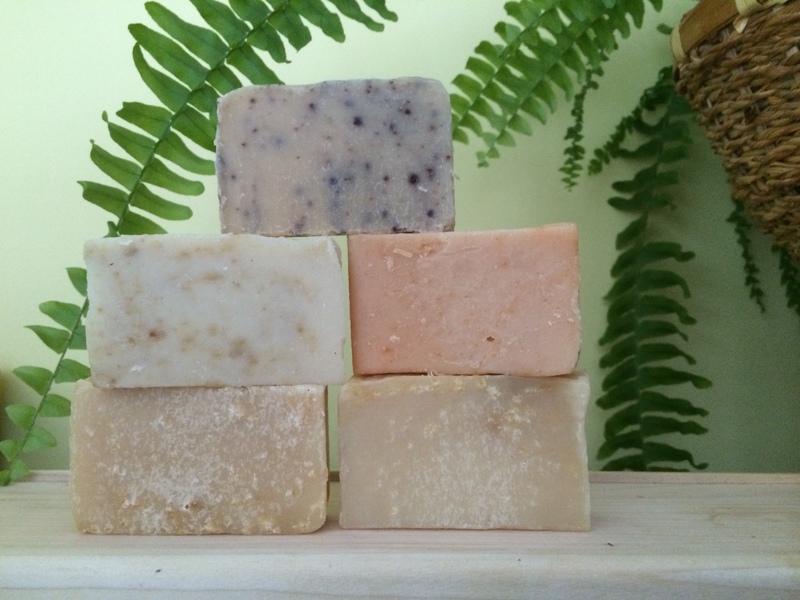 In addition to goat’s milk, ingredients in our soaps include olive oil, coconut oil, palm oil, sodium hydroxide, essential oils, fragrance oils, and natural colorants. We use the cold process method to make our soap. Each bar is cured and hardened for at least 3 weeks before being sold. Bath bar @ $4.00. Weight: 6 oz. Guest bar @ $2.00. Weight: 3 oz. 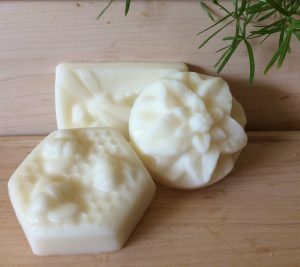 The lotion bar is formulated to soften your skin. It is made with coconut oil, shea butter, and beeswax. It is not a soap. Lotion bar @ $3.00 Weight: 2 oz. The whipped shea butter is a cream that also softens your skin. 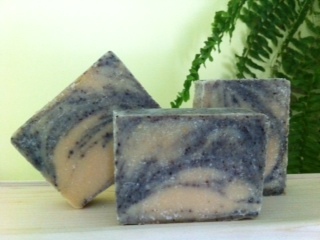 It is made with shea butter, coconut oil, and olive oil. Whipped shea butter cream @ $4.00 Weight: 2 oz. Lip balm. Great for dry lips. Made with shea butter, beeswax, and coconut oil. 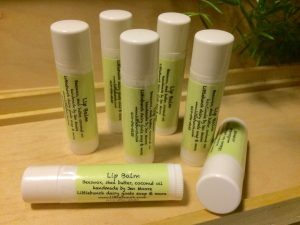 If you would like to order our soap, lotion bar, cream, or lip balm online, select the size, fragrance and quantity in the form below and add to your shopping cart. When you are ready to check-out, click the “Shopping Cart” link. We accept payment only from PayPal. Please allow three weeks for soap not in stock. If you are local and would like to arrange a pick-up or delivery, and would prefer cash or check payment, please drop us an email using the “Contact Us” form from the menu above.